Mr. Salifu Ceesay, UDP’s Regional Campaign Manager for KMC came up with his reaction during an interview with Daily news reporter held in Manjai following Fatty’s recent remarks during the burial ceremony of the late mother of former dictator Yahya Jammeh in Bujinga, in the Fonis. 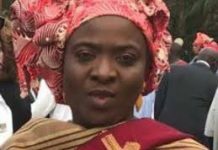 Fatty who was an imam at the Jammeh-built State House Mosque in Banjul and was fond of using the pulpit to defend and praise the former dictator especially during his Friday sermons, was at it again during the burial of Jammeh’s mother who was hailed by many Gambians as a good person. Fatty in an audio message that emerged from the burial tried to downplay the number of alleged killings and human rights violations committed under Jammeh’s watch. He also praised the former dictator for the development projects accomplished during his era; like setting up of Gambia’s first television station. Among other things, Fatty capitalized on the occasion to chastise journalists saying they were neither here nor there. 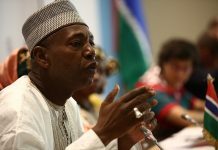 He charges that Imam Fatty is not a Gambian citizen but he is from Southern Senegalese province of Cassamance and has never accepted the new Barrow government. 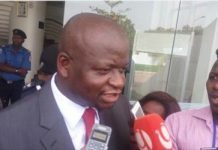 “I am appealing to him that if he cannot accept this current government, let him go back to Cassamance because he is not a Gambian,” Ceesay alleged. “Let him stay away from politics and if he wants to be a politician, let him form his own political party,” the UDP’s Regional Campaign Manager for KMC concluded.